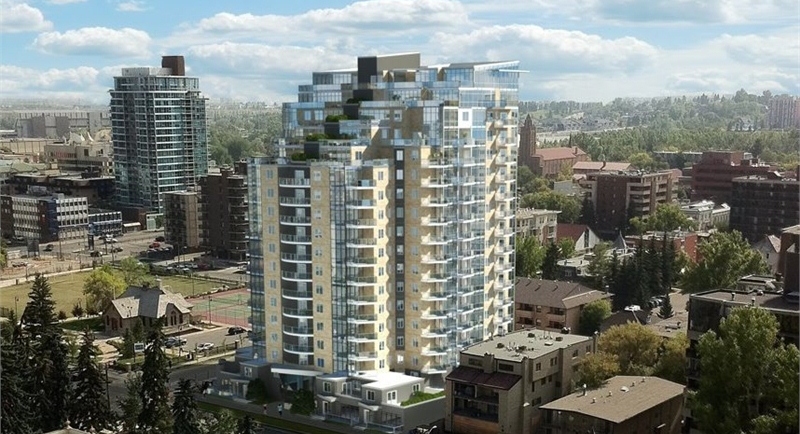 Exciting news in the world of Alberta real estate development: above-ground construction on The Park, the highly-anticipated condo tower in Calgary’s Betline neighbourhood, has officially begun. With the underground parkade already complete, passersby will see The Park‘s 19-storey tower progressively take shape on the corner of 13 Avenue and 2 Street SW in the coming months. There are very few places to live that are as inviting and exciting as Calgary’s inner city. At the centre of all the action you’ll find The Park, ideally situated between two of the city’s most beautiful and historic green spaces – Central Memorial Park and Haultain School Park. With record-low interest rates, a robust employment scene, and rising incomes, Calgary is benefiting from a level of market confidence that the city hasn’t seen since 2006 — making it a great time to buy. Developer Lake Placid Group has already seen an overwhelming response to The Park’s first phase, with over 55 per cent of homes sold. And while sales have been incredibly strong, there is still an opportunity to purchase one of the many unique floorplans. Homes at The Park are currently selling from $249,900 for one-bedroom suites to $349,900 for a two-bedroom suite. The sales centre is open at 300A 17th Avenue SW in Calgary from 12 to 6pm on weekdays and 12pm to 5pm on the weekends. For more information call 403 228 9481, email richard@lpdi.ca or visit their website here.